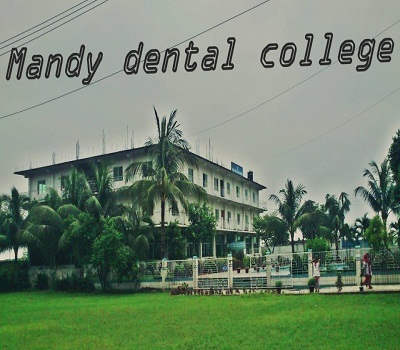 In Mandy Dental College Information, It was established in 2008 in Dhaka Bangladesh. This privet college is a sister concern of Shikder Medical college. It is granted by Ministry of Health and Family Welfare of Bangladesh in 2009 and affiliated with university of Dhaka in 2010. This college is highly respective for ombudsperson in Bangladesh. It’s free from any incident of maladministration, corruption, abuse of power or discretion, negligence, oppression or any kind of mismanagement. So now here we are proceeding for further details about Mandy Dental College information and Mandy Dental College admission process. The mission of the institution is to give a new era of a Dental College and Hospital. Let’s know more about Mandy Dental College information and Mandy Dental College admission process. All the professional examination of the Bachelor of Dental Surgery (BDS) is conducted by Dhaka University. In an academic year, there are two professional exams will be held and the result also published under the University of Dhaka. The academic year of Mandy Dental College starts from February to January. So the admission process starts with the end of September. For applying every student have CGP 8 in SSC and HSC with Physics, chemistry biology subject including. In Biology, they have to get minimum 3.50. O level and A level or other equivalent examination also consider for applying. For overeats students the college allows some special seats also. For more details about Mandy Dental College information or Mandy Dental College admission, please contact to these addresses or numbers. Address: 295/jha/14, Shikder Real State West Dhanmondi, P.S: Hazaribagh (Monica Estate, Western Side of Dhanmondi, Dhaka-1209, Bangladesh.